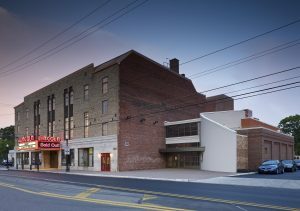 On Sunday, April 14th from 2 to 5pm, CAPA and the Lincoln Theatre Association will present the Lincoln Theatre 10th Anniversary Open House. This FREE community event commemorates the 10th anniversary of the theater’s 2009 reopening after an extensive renovation with a wide variety of activities and information for all ages, as well as a selection of community groups performing on the main stage, including Jazz Arts Group’s Columbus Youth Jazz Lab Combo at 3:15pm. Keep reading for full details from CAPA and come out on the 14th to celebrate and enjoy this reborn community resource. First opened in 1928, the Lincoln Theatre is a landmark in African-American and jazz history. After undergoing a $13.5 million renovation funded by a partnership of public and private support, the Lincoln reopened in May 2009 as a multi-use, state-of-the-art performing arts and education center serving the diversity of the central Ohio community. The Lincoln is a bustling hub of activity 365 days a year hosting performances, rehearsals, and classes in the performing arts, as well as a wide variety of community events such as film festivals, meetings, and receptions.